Are you familiar with the work of Fred Rogers? As the creator, writer, and producer of Mister Rogers’ Neighborhood — the most beloved and longest-running children’s show in public television history — Fred Rogers won 5 Emmys, a Peabody Award, more than 40 honorary degrees and a star on the Hollywood Walk of Fame. His 31 years and over 1,000 episodes of television are such a historic accomplishment that one of his sweaters is in the Smithsonian. As entertaining as his show was, Fred Rogers was not just an entertainer, but a powerful example of ethical, values-based leadership. In the 1970’s, when Mister Rogers’ Neighborhood was threatened with cancelation, mothers across the country walked door-to-door collecting funds to keep it afloat. No one asked them to. Certainly not Mister Rogers himself. They did it because the thought of him going off the air was so appalling, to them and their children, that they galvanized themselves into action. At LRN, we like to think that real leaders inspire others to previously unreachable heights. In this case, the values that Fred Rogers inspired in his viewers drove regular people to exhibit passionate, unsolicited behaviors that led to a very substantial and non-regular outcome…Congressional funding for years of public television. If you are not an aficionado of the Fred Rogers canon, there is a great video of Fred being inducted into the Academy of Television Arts & Sciences Hall of Fame in 1999 that, to me, truly exemplifies his power as an ethical leader. In it, a clip is first shown from twenty years earlier when Jeffrey Erlanger, a 10-year-old quadriplegic, visits Mister Rogers’ Neighborhood. As the video cuts back to the award ceremony, an adult Jeffrey comes out on stage, still in his wheelchair, as a surprise guest. When he appears, Fred Rogers, 71 years old and clearly moved, leaps out of his seat in the audience to greet him. There is no question about the authenticity of their mutual affection. In his speech, he says nothing about his own life. Nothing about his show. Nothing about how he almost single-handedly saved public television in the 1970’s. Not even a comment about how he never thought he would be here tonight. Instead, he uses his five minutes to tell the soap opera stars and talk-show hosts in attendance that evening to shape up and stop making junk TV. Well, life isn’t cheap. It’s the greatest mystery of any millennium, and television needs to do all it can to broadcast that … to show and tell what the good in life is all about. But how do we make goodness attractive? By doing whatever we can do to bring courage to those whose lives move near our own — by treating our ‘neighbor’ at least as well as we treat ourselves and allowing that to inform everything that we produce. Ultimately, this entire 10-minute experience is a remarkable masterclass in the ideas of ethical, inspirational leadership. Mister Rogers was a famously difficult interviewee. “Not because of swollen ego”, said Lynne Heffley of the LA Times, “but because of his intense interest in what other people think and feel.” Mister Rogers’ power lay in his humility, the genuine belief that you were far more interesting and special than himself. He was consumed with your story, your feelings, your potential. 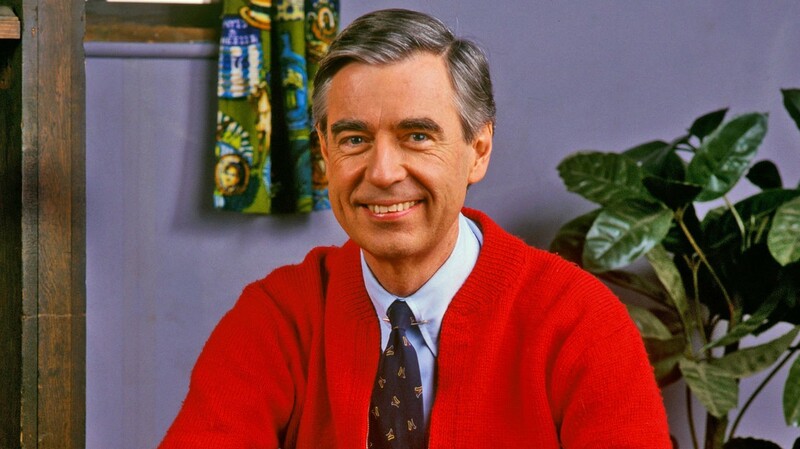 He was, as he coined the term, the ultimate “helper.” It’s not that he lacked confidence or self-respect — after all, he called his show Mister Rogers’ Neighborhood, not Freddy’s Place. It was that he was a man of great dignity who extended that dignity to others. This ability — to lift up and celebrate others, especially those (like Jeffrey) who may otherwise feel powerless or unseen — made him stronger than any self-proclaimed, self-important leader. 2. Authenticity is the acid test. The list of religious, educational and other “moral” authorities who have been caught in a web of lies is as long as it is depressing. Not Fred. “[He] was one of the nicest, authentically good people you’ve ever met,” said Michael Keaton, who was part of the Neighborhood production crew early in his career. “Really good dude with kind of a sneaky, sly great sense of humor.” The authenticity of Mister Rogers is universally highlighted by those who knew or worked with him. To live and work as a children’s educational television host well into your seventies — and the internet age — without a whisper of hypocrisy or bad behavior is remarkable. To do it and have Batman say you have a great sense of humor is incredible. Do you think Mister Rogers did not know that people thought he was (pardon the phrase) a dork? But like the honey badger, he couldn’t care less. In fact, his response was to look at the ridicule as a cry for help. For who would choose to hurt someone who had done them no harm unless they themselves were suffering? And so rather than being offended or angry, he took his time to help them figure out their own hurt, why they felt the need to mock someone who was sincerely trying to connect with them until they ended up being healed themselves. But, you might say, how can you function — how can you be so “soft” — as a leader in the modern world? Can you imagine Mister Rogers being your boss? Firing underperformers or fighting for the money that any organization needs to run? Well, as creator and producer of the biggest hit show on public television, Mister Rogers was “the boss” to dozens of people. He no doubt had to highlight bad work, to draw lines in the sand, even to let people go. But clearly he did it in such a way that today, close to fifty years after he welcomed people to his Neighborhood, no one has an unkind word to say about him. An enduring icon of power through grace, Mister Rogers is still leading by legacy and example.